This organic daily defence cream from Green People is the UK’s first certified organic DD tinted moisturiser, made with a natural formula that is completely chemical free. Made using Sea Fennel stem cells it provides an anti-ageing solution that stimulates cell renewal and reduces age spots. With a natural SPF15 protection against harmful UVA and UVB rays, this cruelty free tinted moisturiser is a must-have daily cosmetic, with natural earth mineral pigments that adapt to compliment medium skin tones and unique colour correction to reduce redness and balance out sallowness. 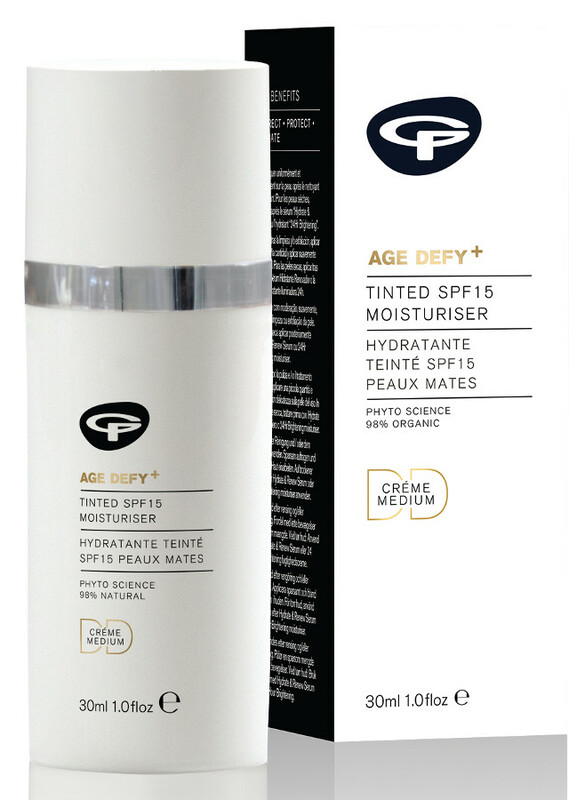 There are currently no questions to display about Green People Age Defy+ Tinted DD Moisturiser SPF15 - Medium - 30ml.